What's a Christmas Pickle? Every year some American families hide a pickle ornament deep in the boughs of their Christmas tree for the children to find. The child who spots the well-hidden pickle first is believed to have good luck through the year. 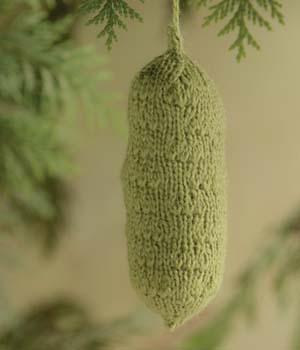 Knit up your own pickle ornament and start a new tradition this year! Shown in Palette Edamame. 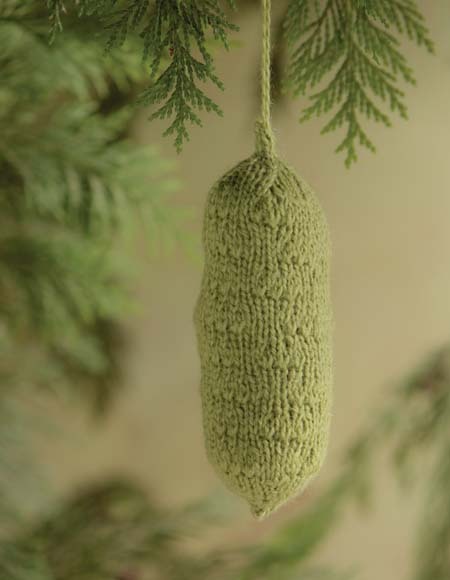 (one skein will make several ornaments). Alison made a blog post about "Pickle-pocalypse 2009"
Stacey has also knit a pickle.